Out of all the retail sectors, electronics is one of the most challenging. Loyalty is low, shopping around is common, and consumers are demanding – all things that contribute to low profitability. There isn’t much margin for error, which is why digital disruption and the rise of players like Amazon caused so much pain. RadioShack, hhgregg, and Circuit City are just some of the names on a roll call of retailers that fell into difficulty. One name that hasn’t found its way onto that list is Best Buy, which, to this day, remains the biggest electronics retailer by market share. Survival wasn’t automatic, nor was it painless; it was something Best Buy engineered. So how did the electronics giant manage to stick around while so many others fell by the wayside? While the rise of online affected all parts of retail, the electronics sector was one of the first to be disrupted. It was a natural and deliberate target for the digital pioneers, mainly because of how electronics are purchased. Before buying, research is usually extensive, and doing it online is more convenient than doing it in stores. There is also sensitivity about an expensive purchase, so price comparison is rife. Online retailers took advantage of both of these things, especially price, where they often undercut their physical counterparts. The impact was dramatic. 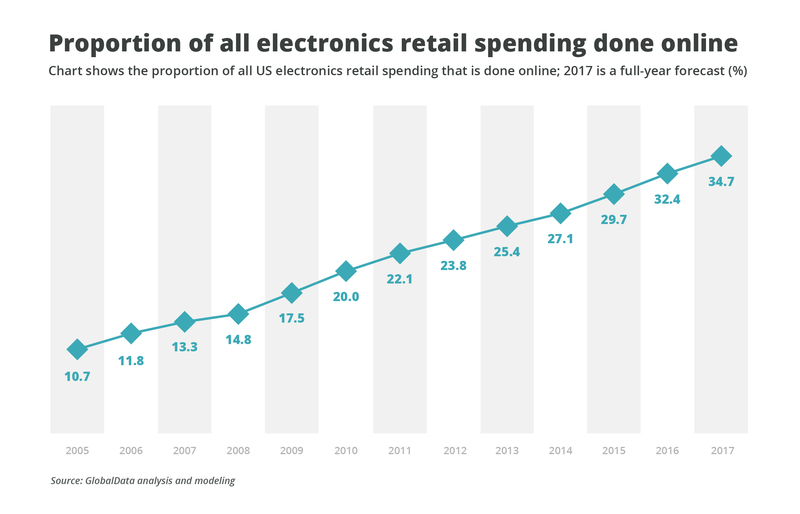 In 2007, online sales accounted for 13% of all spending on electronics. By 2012, this number had risen to just under 24%. Most of the traditional electronics players entered the online arena, but their success was unimpressive. Best Buy was no exception: in 2012, its U.S. online sales accounted for a small 3.8% of all revenue. At the same time, its in-store sales were slowing, and the business was losing market share. Its long-held dominance was in question. The ascendancy of online created a problem for Best Buy that arose from the fact that most electronics products came from well-known brand names. Not only did this make differentiation very difficult, but it also meant it was easy for shoppers to compare items across different retailers. And compare they did. Increasing numbers of Best Buy shoppers visited its stores to see products and seek advice from associates, and then promptly bought the same products from online players at lower prices. In a sense, Best Buy’s stores were becoming showrooms for its competitors. For Best Buy to survive, the issue of price had to be neutralized. This was the first thing new CEO Hubert Jolly tackled when he entered the business in 2012. The price-matching strategy he came up with was undoubtedly margin-depleting, but it also leveled the playing field and stemmed the tide of shoppers defecting to Amazon. As critical as it was, the move proved insufficient to put Best Buy back on stable ground. The business was still essentially an analog player in an increasingly digital world. Jolly and his team understood this and developed a plan, known as Renew Blue, to get Best Buy back on track. At its heart, Renew Blue was not a complex strategy. It was a plan that appreciated changes in customer behavior and addressed these through meaningful changes in the business model. The starting point of the plan was to ensure finances remained sound. Although Best Buy was not in a desperate situation, price matching had eroded already low margins and profitability. Investors were also nervous about the direction of the business. Both had to be stabilized. The most obvious way to strengthen a balance sheet is to cut costs. Best Buy did this by taking out unnecessary layers of management and shuttering underperforming stores. Non-core parts of the business, including problematic international operations, were also shuttered. These bold initiatives were complemented by smaller-scale changes, like introducing greater efficiencies in areas like goods handling and inventory control. Ultimately, the moves offset the depletion in margins and gave Best Buy the financial stability to move ahead with other parts of Renew Blue. Although the matching policy had taken the issue of price off the table, Best Buy knew that charging the same as rivals wasn’t a strong enough point of differentiation. It needed to strengthen its hand in the factors beyond price that drive customer behavior. 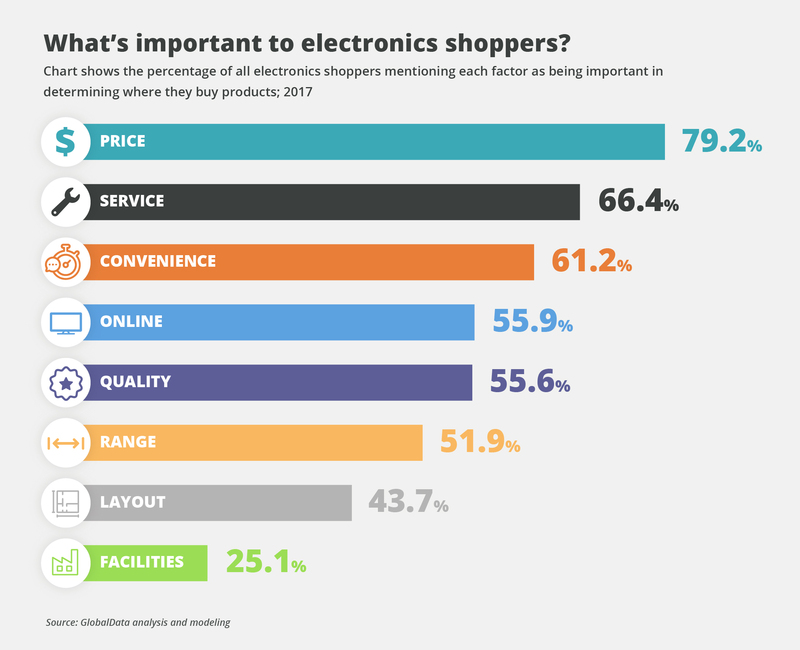 In electronics purchasing, the two most important priorities aside from price and range are customer service and convenience. Best Buy focused on improving both. With so much general information about products online, Best Buy had to ensure its stores provided additional value to the customer. This meant being able to answer complex questions, give softer advice and guidance, and help shoppers solve their technology problems. Staff were retrained to increase their product knowledge, and policies were changed to empower and encourage them to deliver exceptional service. Thinking beyond stores, a free in-home consultation service was introduced to help customers select and install the best products for their needs. 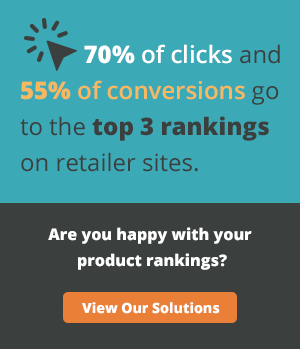 Helping customers pick the right product is all well and good. However, once they have selected it, convenience becomes the next area of focus. Here, Best Buy found a way of both satisfying the shopper and improving its productivity by fulfilling orders from its stores. At the time, Best Buy’s decision to turn its shops into mini-warehouses that could ship online orders or act as collection points for shoppers was groundbreaking. At a stroke, it meant the real estate asset was working harder and contributing to a much more efficient supply chain. Being able to collect in store, often a few hours after ordering, also gave Best Buy an advantage over online-only rivals – something that is particularly advantageous in categories where consumers want their products immediately. The final part of Best Buy’s plan focused on improving the online experience so they could play the digital retailers at their own game. A host of features like live chats and curated reviews were added, and the site was overhauled to make it easier to find information and compare products. The improvements, along with the connections made to stores, worked. In the last four years, Best Buy’s domestic online sales increased by 306% – way above the 55% growth rate of the online electronics market as a whole. It understood that digital disruption was driving far-reaching change that necessitated a reappraisal of all areas of the business model. It initially focused on critical changes that remedied pressing problems and quickly delivered improvements and financial returns. It sought out ways to differentiate itself from rivals – both old and new – and then used these to fight back against those taking its market share. It continually looked through the lens of the consumer to ensure the changes made aligned with what shoppers wanted. The last point is one of the most important. It is a principle that Best Buy is sticking to as it embarks on its latest plan, known as New Blue, which will take the company to 2020 and beyond. With initiatives like smart home services, including its Assured Living pilot, which will monitor people’s homes and their health, Best Buy is moving beyond being a place to buy things to being a company that makes a real difference in the lives of its consumers.